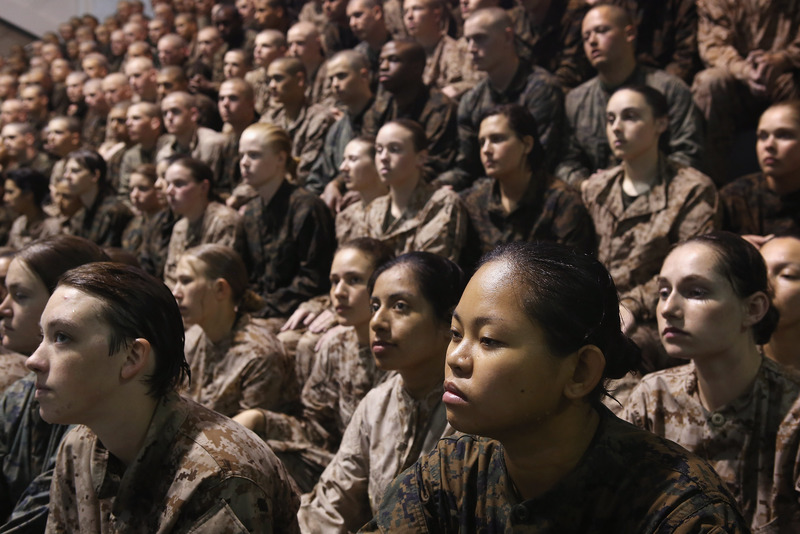 Pentagon Announces Anti-Sexual Assault Measures, But Are They Robust Enough? The Defense Department announced seven new measures Thursday designed to crack down on sexual assault in the armed forces — but are they strong enough? Amongst the measures: The creation of a legal advocacy organization for sexual assault victims, to be fully operational no later than January 1 of next year; regular re-evaluations of closed sexual assault cases; a new requirement for “timely follow-up reports” on accusations of sexual assault; department-wide standardization of what’s considered “inappropriate” behavior ( both between both recruits and recruiters as well as trainees and trainers); a change allowing victims to give testimony during the sentencing phases of convicted officers; and the development of policies enabling the reassignment or transfer of officers accused of sexual assault. While we’re glad the Pentagon seems to be devoting attention to this problem, that last measure has us raising our collective eyebrows. The exact policy details haven’t yet been publicly detailed, but on the face of it, “reassignment or transfer” doesn’t sound like the most responsible way to deal with sexual predators. While that's certainly an improvement over the current policy of simply transferring the person who made the accusation, the whole idea sounds a lot like what the Vatican has been known to do with its own predatory priests — a practice that has demonstrably failed at addressing the root problem (we're not the only skeptics). In a press release, White House Press Secretary Jay Carney admitted that the new measures are “only a step along a path toward eliminating this crime from our military ranks,” and said that President Obama “expects this level of effort to be sustained not only in the coming weeks and months, but as far into the future as necessary.” Count us cautiously optimistic.